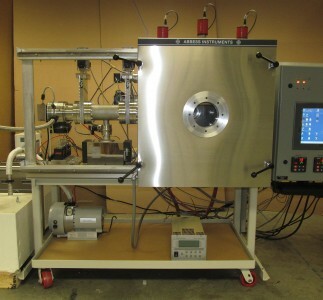 The system is configured with Paired Sub-D 25 Pin Vacuum Feedthrus for test article interaction and is suitable for test applications in the low millitorr range. The system is in as-new condition and sells with Abbess Standard Warranty. 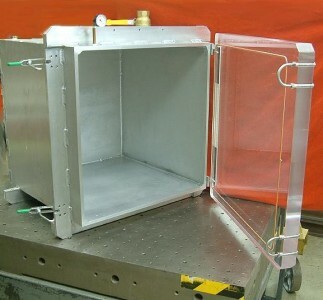 This 24 inch cube is capable of process testing in both vacuum and positive pressure. This vacuum chamber system is configured as a versatile platform to conduct aeronautic component tests with. With a temperature range of +200C to -96C, this system is ideal for robust test procedures in both industrial and academic laboratories. Altitude Chambers full integrable into your vibration of shaker tables to provide a robust transit testing platform for your product. Abbess offers fully custom designed and engineered systems in order to meet customer specification. 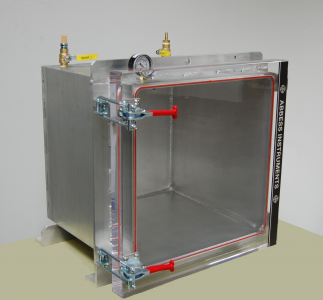 The system allows articles under test placed inside to be exposed to high vacuum pressure as well as various temperatures via the heated and cooled Thermal Plate Assembly (thermal vacuum chamber). Abbess can help you press and/or seal your medical, pharmaceutical, food, electronics, and aerospace packaging under vacuum using either seal bar(s) or seal plate(s). Whats your vacuum problem: Water? Odor? Both? We can help solve both problems in the vacuum space. Abbess Vacuum Cycle Controller (VCC)—This Controller is designed to be a part of our rugged bench top vacuum chambers in production or testing. 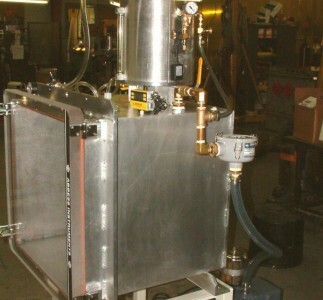 Some of our customers find this to be a practical solution for using a vacuum chamber in a controlled process to dry products, and degas of parts, liquids, plastics, resins, and epoxies. For electrical connections to samples mounted in vacuum and other applications, BNC, SMA, and others. The Contamination Control Package will be of greatest interest to our Space Simulation customers, especially those who will be placing actual Space Flight hardware in our chambers – whether in component, subsystem, or full system form. Turn tables allow customers to rotate a number of products under a dispensing point (please see our liquid feed-thrus) under vacuum conditions. For your needs for modern factory, product testing or research systems Read and control all your process variables, easily change products, keep bach records, record, plot and export data files, remotely program or monitor your process. Brings control of the factory floor to your laptop, at a price you can afford. Vacuum hose sizes are determined by the system’s pump, size, and capacity. Take a look at the different lighting options for inside of an Abbess Instruments vacuum chamber. 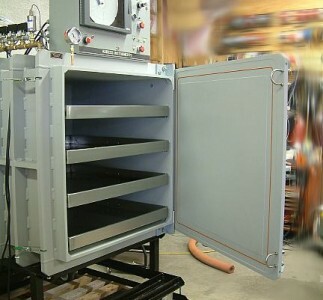 An insertion shaft runs through an airlock that allows for powders, liquids and other substances to be added to the vacuum chamber without breaking the vacuum. General: For peak output performance from a compressor, blower, vacuum pump, engine, or any other machine that consumes air, one must have clean, unrestricted air. 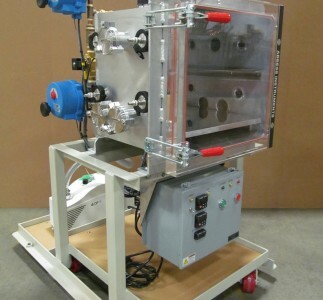 Vacuum Pumps and Systems for use with vacuum chambers. A wobble stick allows movement within a vacuum chamber. Most movements that would typically be done by hand can be done through a wobble stick. For example, in a vacuum under pressure, a wobble stick can move to press a button or rotate an object.